Chelsea manager, Antonio Conte, has claimed he took Eden Hazard off during their 2-1 defeat at Manchester United on Sunday, because “he was losing energy”. 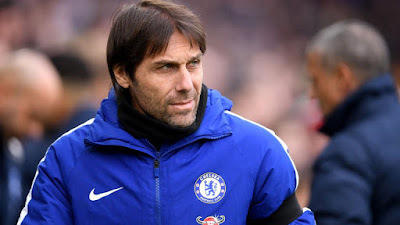 Conte also told the club’s official website, that it was important for the team “to continue with the same performance level for 90 minutes”. The Premier League champions took the lead after Willian exchanged passes with Hazard, before crashing the ball past David De Gea. Lukaku equalized before the interval, finishing off a fine move that involved Alexis Sanchez and Anthony Martial. The Belgium striker, who has been criticized roundly for not having an impact in big games, then crossed for substitute Jesse Lingard to head in the winner.